Since Windows 8 Windows has had a growing number of built-in, automatically installed “apps” – from everyday things like Mail and Photos to games that you may not even know you have (Bubble Witch 3 Saga, anyone?). These are contained in the WindowsApps folder on your hard drive which can’t be accessed without a little tweaking. 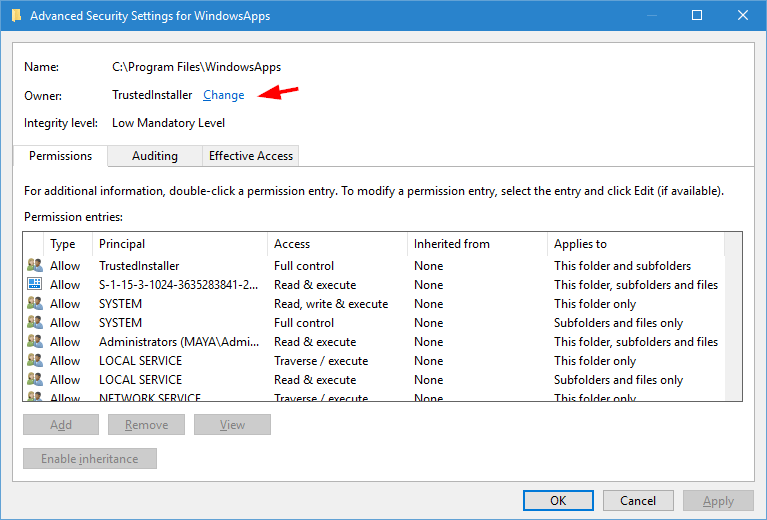 Here we’re going to not only tell you the location of the elusive WindowsApps folder in Windows 10 but show you a couple of ways in which you can access and edit it. 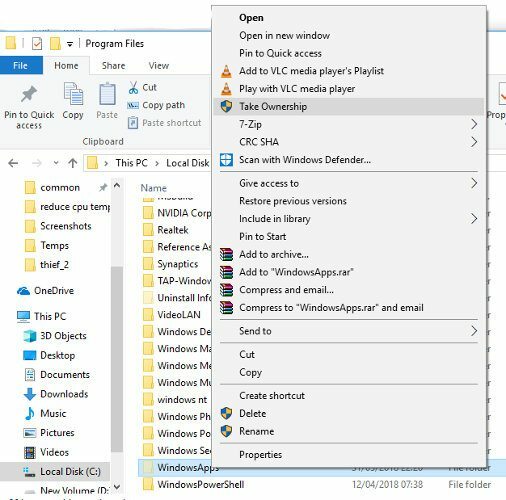 This guide will show the manual method of getting access to whatever folder you want, but you can take a shortcut by downloading and using the “Take Ownership” context menu option instead. 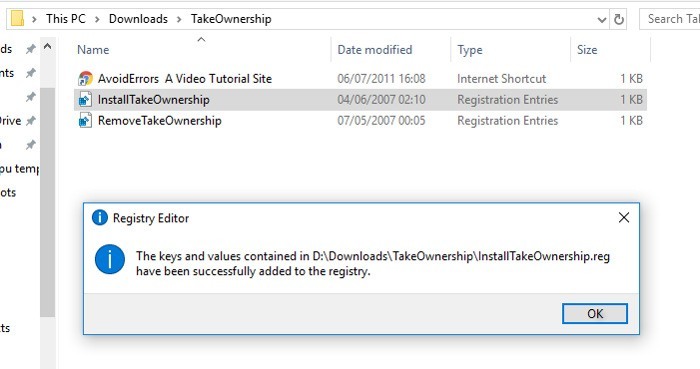 To use the fast, context-menu method, you can download this Take Ownership registry hack. To install it, just extract the ZIP file, double-click “InstallTakeOwnership.reg,” and follow the instructions. 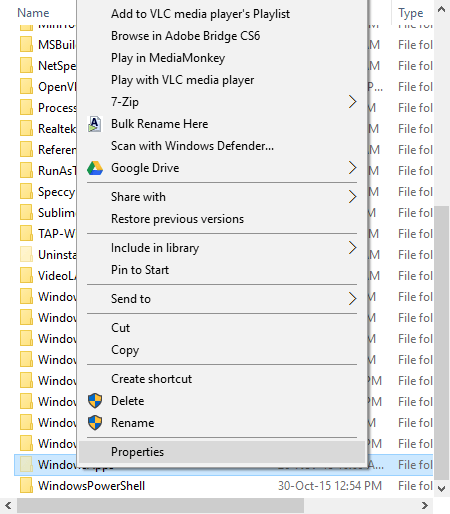 Next, go to your WindowsApps folder (C:Program Files by default, but you may need to unhide it by clicking “View” at the top of File Explorer, then ticking the “Hidden items” box). Once you you can see WindowsApps, right-click it and click the new “Take Ownership” button in the context menu. A Powershell prompt will open and run a command to take control of the folder. Once this is done, you can access WindowsApps! 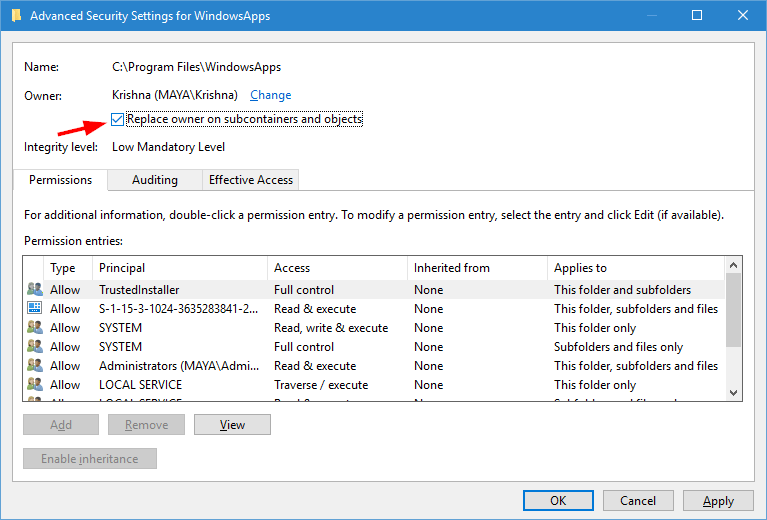 If you don’t want to have a ‘Take Ownership’ command in your context menu for security or other reasons, you can access the WindowsApps folder manually instead. The WindowsApps folder is hidden from plain sight. To see the folder, head over to the Program Files folder, click on the “View” tab, and then select the “Hidden Items” checkbox. The above action will open the Properties window. Navigate to the Security tab, and click on the “Advanced” button appearing at the bottom of the window. Once the Advanced Security Settings window has been opened, click on the “Change” link. You will receive a UAC (User Access Control) prompt. Simply click on the “Yes” button to continue. 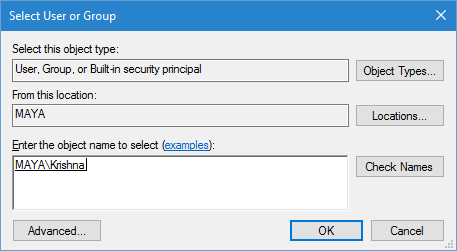 The above action will open the “Select User or Group” window. Here, enter your administrator username and click on the “Check Names’ button. This action will automatically fill in the object name. Now, click on the “OK” button to continue. Here in the main window you can see that the owner of the folder has been changed to your specified administrator account. 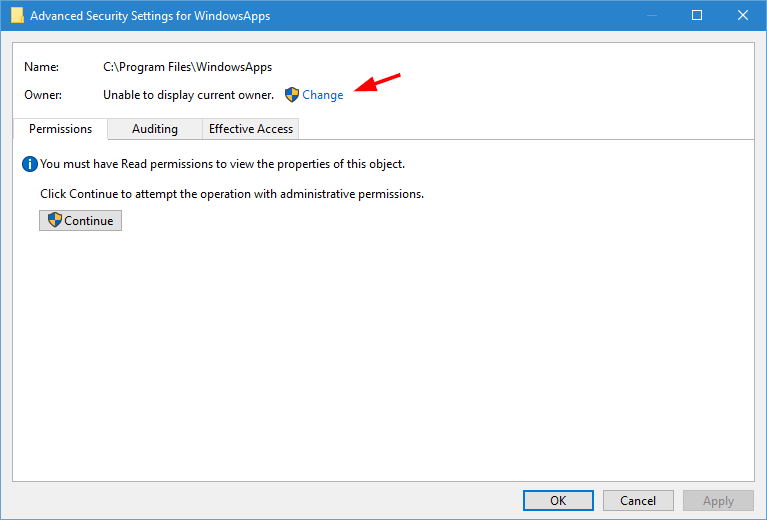 Before applying the change, make sure that the “Replace owner on sub containers and objects” checkbox is selected, otherwise you won’t be able to interact with other files and folders inside the WindowsApps folder. Whichever of the above methods you used, you should now have access to your WindowsApps folder. The even better news is that you now know how to take control of any folder on your hard drive. If a folder doesn’t let you in due to admin privileges, then the above method can be used for that too. This article was first published in December 2015 and was updated in June 2018. Thank You … I read your blog/newsletter almost every day and appreciate your efforts very much! I also pass your posts on to my friends and family …. at least the ones who are tecchies. Doesnt work for me lol. Cant change folder attributes. And in doesnt find trusted installer as a element of permissions when i enter it. What you’re doing here is changing first the owner of the files from TrustedInstaller to your own user. Then after you have taken ownership, you can change the permissions for your user to have full access to the files. Permissions and ownership cannot be granted to TrustedInstaller from the GUI. So you cannot put it back to the way it was before with this method, so be careful. If you carelessly change permissions, especially when using the checkbox “Replace owner on subcontainers and objects”. If you do this to the wrong folder, you can quickly find your system unusable, which may end up costing you money if you do not know how to fix it yourself. LOL my SEVEN YEAR OLD successfully completed this with ZERO help from me on her own computer! LOL TRY HARDER THIS GUIDE WAS PEEEEERRRRFFFEECCCT! Cheers Mate! hahaha. you’re making your life so complicated! you can easily revert it back. I thought it didn’t work too but click off the no permission box and open again, it shows the files. Thanks so much. Worked like a charm. Signing up for your newsletter now. Thank you! I’ve found a trojan that’s been making google chrome run way too slow. Its stupid I, the owner, don’t have permission to go places. The exact answer I was looking for, thanks. Works but after restart, start menu and all apps doesn’t work anymore. How can i grant full read/write? Might have worked before but not anymore. Exactly what I was looking for, and well explained! Thanks a lot. Fantastic! Thanks very much. What a cheek MS denying access to folders on your own computer! Did not work for me, unfortunately. That was a nice one ! Thanks for it ! I’ve followed all of the steps, however when I hit the “Replace Owner” checkbox and then “OK” nothing happens. I try to access the folder and I get the same message as before. Now instead of owner being listed as “Trusted Installer” it just says “Unable to display current owner.” This is starting to get under my skin a little bit. This article was VERY CLEAR and EASY to understand. Just installed windows 10 Pro and this was the first thing i took ownership of. Thanks again for such a damn easy to read/follow guide, that even a SEVEN YEAR old could easily understand and complete! It is all very well and good to gain access to and manually delete these folders, but I would only recommend doing so when you are ABSOLUTELY sure Windows is not somehow linking to the folder. There should be a utility to correlate registered apps with their corresponding folders and delete only folders that are not otherwise associated with a registration. Otherwise you could have BIG problems, especially with the new Apps system. This is similar to the C:Windowsinstaller folder that often would get gummed up with msi/msp cache files, particularly with windows updates that repeatedly failed. For a while Microsoft had a installer cleanup utility they had intended for Microsoft Office but worked for all of windows, removing unregistered msi/msp files. Unfortunately Microsoft repealed the installer cleanup. 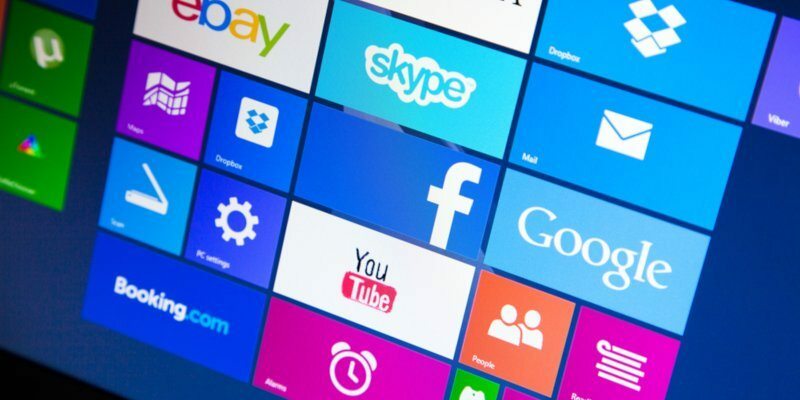 Now they need the same thing for the newfangled App installs, especially for apps that were included for one version of Windows, such as Bing apps in 8.1, but repealed in later versions of Windows, such as 10, but remain through the upgrade process. Worked somewhat for me. Problem is I can’t add any files to a particular app that allows for in app purchases. I need to be able to add files that I bought to the app. Anyway to do that? It worked just fine, my Groove music app was crashing but after i took owner of the folder it’s working just fine, Thanks to you. When you get to the part about searching for your username, type in the e-mail address you use to log into Windows 10. Thank you for this method.It worked perfectly very well for me. But I am afraid that this may cause any problems in future. Because I am not an expert user and just a normal user. 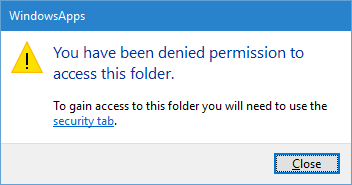 I have a doubt that due to allowing access to this folder, will it cause any problems in future? 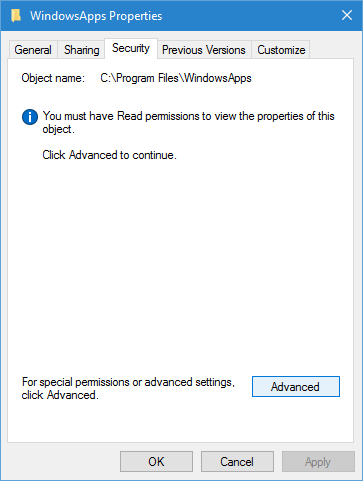 after following all the steps, after the “changing ownership of” finished running, a popup saying, “if you have just taken ownership of this object, you will need to close and reopen this object’s properties before you can view or change permissions”. after i do so, it brings me right back to square one, i go through the whole process again and get the same popup again. it is an endless loop. why? This method can be dangerous on Windows 10. 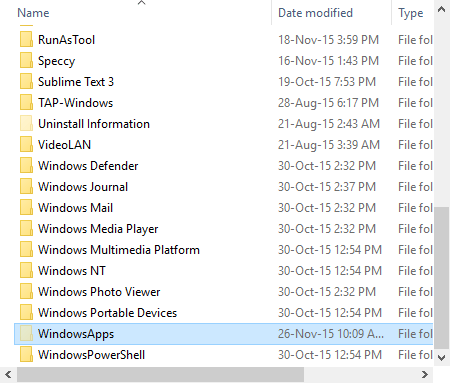 The default “tile” apps – things like Microsoft Store, Calculator, and even the Start menu (since it depends on the tiles) – are stored in this location, and Windows expects certain permissions to be available for the TrustedInstaller user. I’ve tried this process three times; each time, after taking ownership of the files (without encountering any errors) and doing *nothing else*, most of my default apps (those mentioned above) stopped working properly. Moreover, when I used the standard methods to get them back – running SFC and DISM, and running the GetApp commands from Powershell – it failed to resolve the problem. I had to do an in-place upgrade to get them working again. So I would not recommend this at all. The “Take Ownership” file works great and helped sole my problems (ripping out all remaining files for the pre-installed “Power2Go”, “Power Director for Dell”, and “Media Suite Essential for Dell”. Thanks very much for this! First method didn’t work for me, but the second got the job done. How do you set back it back to “TrustedInstaller”? I tried “take ownership” method but i’m getting access denied upon copying/moving files. Error: “You need permission to perform this action” appears but i don’t have any app open and reboot doesn’t seem to fix the issue. Help! Thank you so much for all the effort you put in to make it easier for a lay man to follow.